A "rising star" in the film and commercials industry has been found dead in his hotel room in Nigeria. 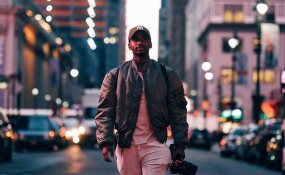 The body of Siphiwe "SJ" Myeza-Mhlambi, 25, was discovered at the Blowfish Hotel on Victoria Island in Lagos on Monday, family spokesperson Victor Dlamini said in a statement. He said the experienced film and commercials director - the son of photographer Siphiwe Mhlambi - had been in the city to shoot a commercial. He had been in Nigeria since January 5. "There are no words to describe the pain of losing my son," Mhlambi said in the statement. "Just this past December, I went to Cape Town to celebrate his 25th birthday on December 22. The week I spent with him was one of the happiest weeks of my life." Dlamini said Myeza-Mhlambi had "very quickly" become one of the rising stars in the industry after graduating from AFDA and had been the majority shareholder of 7Films, co-owned with Lourens van Rensburg. On its Facebook page on Monday, 7Films shared a post by employee Nina van Rensburg. She wrote that the "7Films family are broken". "It is with broken hearts that we confirm that Siphiwe Myeza; son, brother, friend, partner, man of God, award-winning director and so much more has passed away this morning. SJ passed away whilst doing what he loved most, filming! His death has left a hole we simply can't define, but we hold dear to the hope that we'll see him again." Dlamini said the family has been in contact with the Department of International Relations and Cooperation (Dirco) as well as the South African mission in Abuja and the Consular General in Lagos. "The cause of death has not yet been established and the family is awaiting details of when the autopsy will be carried out and the results released." Dirco spokesperson Ndivhuwo Mabaya declined to comment. Details of the memorial and funeral service will be released once finalised, Dlamini said.